Plants produce hundreds of chemical compounds to protect themselves from insects, fungi, diseases and grazing mammals. These chemicals can also affect the human body. For thousands of years, plants were the main source of medicine for most of the world’s populations. In our Apothecary Hall you’ll see how old chemist shops were full of plant-derived medicines. Even today, around 50 % of medicines produced by the pharmaceutical industry are either directly derived from or inspired by natural substances. 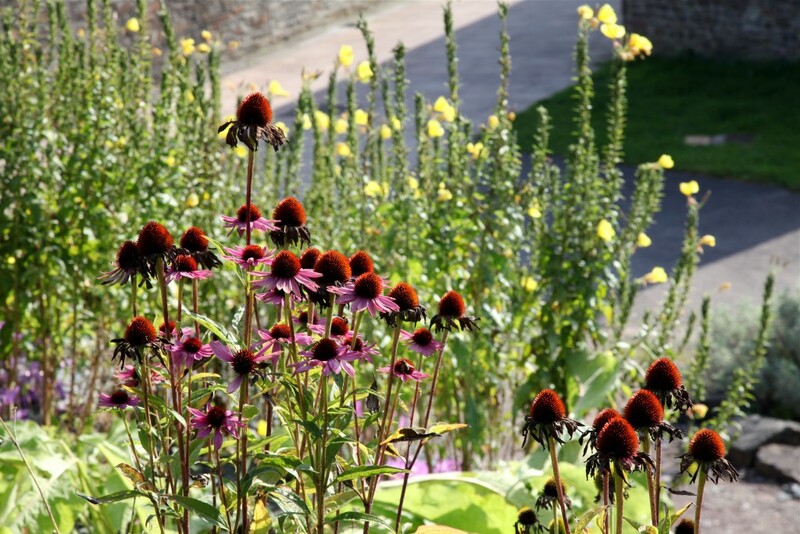 Each bed in the Apothecary’s Garden contains plants that have been used to treat systems of the body. An extra bed has also been added to show plants that were used by the legendary Welsh herbalists, the Physicians of Myddfai.